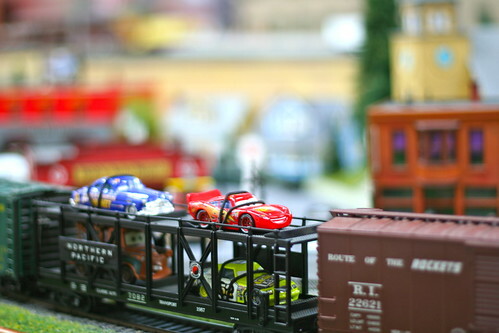 I've been wanting to go to the Model Train Museum with the girls forever. 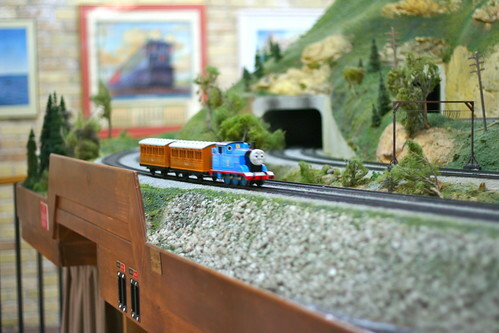 Who doesn't love little trains? on little tracks? 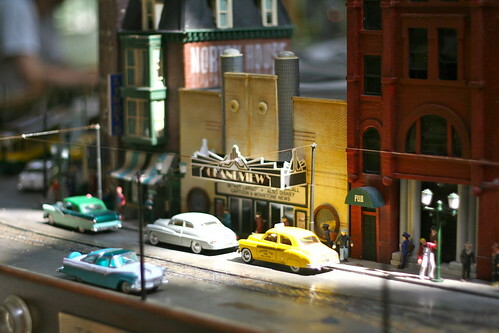 with little models of local landmarks? Like the Grandview, on my old street. I'm very sentimental about this moldy old theater. The girls were not so impressed with my sentimental waxings on about Grandview, and preferred to watch for Thomas to choo choo by. "THOMAS!!" they scream, each time. "TAKE A PICTURE!" We rounded one corner and all scream. "Lightning MCQUEEN!" 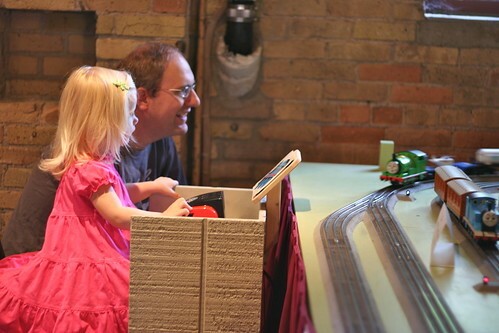 We are clearly a huge disturbance to other families quietly enjoying the train museum. However, the staff mistake this for enthusiasm and we are treated to a lovely behind the scenes tour. The girls get to run the trains, and Brent and I get to learn all about model train building and the real trains each of them are based on. I had no idea about any of this and I have to admit, I did get caught up in all of it. BECAUSE I TOTALLY NEED ANOTHER HOBBY. 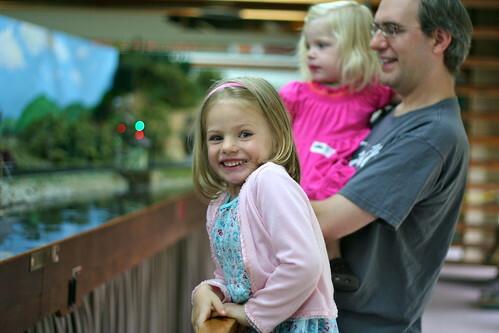 We went on a Saturday to take advantage the Toy Train Annex during its more limited hours. A definite must see, this part of the museum has a ton of interactive things, buttons and levers. 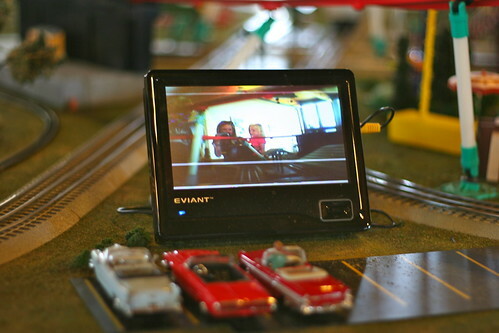 Trains to drive--fast or slow, and a button for whistling! A model drive-in! Our favorite! I know what you're thinking, a whole post about a train museum?! It was more than that. A family day doing something so quintessentially family. And loving every minute of it. You've gotta slow down these summer days sometimes and soak it in.